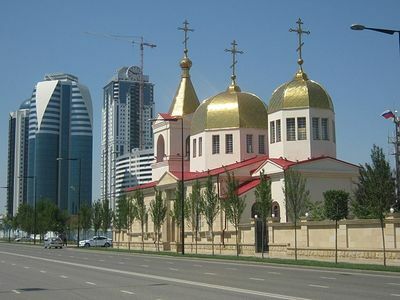 Republic head Kadyrov congratulated his countrymen with the opening of the new church and expressed his desire that the young generation of believers would be brought up in the spirit of Christian morality. 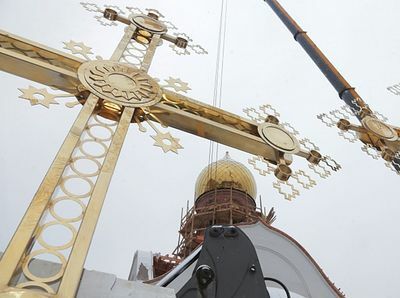 “80 years ago in the village of Shelkovskaya was the Church of St. Barbara, and today historical justice triumphs,” said the Plenipotentiary representative of the Russian President in the North Caucasian Federal District Alexander Matovnikov. The new church can accommodate 200 parishioners. The height of its dome exceeds 65 ft. The church has the blessing of being the home of a piece of the relics of its patron St. Barbara. 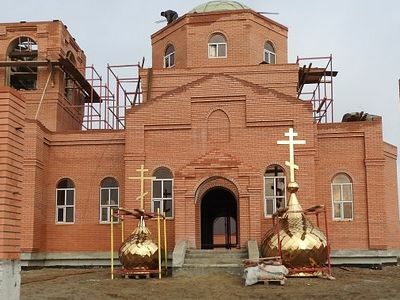 An Orthodox church in the village of Shelkovskaya in the northeastern Chechen region of Shelkovskoy, construction on which began in April, will open for parishioners in the summer of 2018.